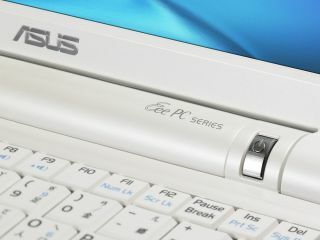 Asus, the maker of the ultra-successful Eee PC range of computers, has more than a little egg on its face this morning after it emerged that an unknown number of new machines shipped with a virus already onboard. The Taiwanese firm's Japan office is so far the only one to acknowledge the problem, which affects only the newly launched Eee Box desktop computer. According to a Japanese-language apology directed at customers in Japan, a virus called recycle.exe is present on the D drive of some Eee Boxes. It activates as soon as the drive is accessed and copies itself to the C drive and any removable media attached to the computer. Beyond that, it appears harmless so far. Asus advises customers in Japan to contact it immediately to arrange a replacement, although it gives no indication as to how the virus managed to get on the PCs. The most likely cause is an infected drive in the factory being cloned onto empty Eee Boxes to prepare them for shipping, although this has to be confirmed. The official response just in from Asus goes as follows: "ASUS was recently made aware of a virus issue with the Eee Box computers sold in Japan. ASUS has taken immediate action to replace the affected Eee Box units. As the issue was addressed on the same day that it was discovered, the extent of its impact is extremely limited. "ASUS has determined the root cause and is fully confident that we have resolved this issue. We sincerely apologize for any inconvenience caused and advise all customers who purchased an Eee Box in Japan between October 2nd and October 3rd 2008 to contact the ASUS service center in Japan for more information."